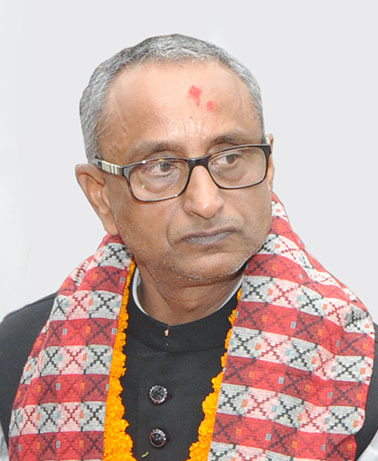 KATHMANDU, July 29: Minister for Culture, Tourism and Civil Aviation, Jitendra Narayan Dev has insisted that the government will bring special plan and programmes for the promotion of the art and culture of the Tarai-Madhes region. Speaking in a felicitation programme organized by the Maithili Cine Sansar, a film magazine, at the Madhes Media House here on Saturday, Minister Dev stated that the State should respect the art and culture of the Tarai-Madhes. He also urged the artists to submit a proposal at the Ministry for promoting and highlighting the art and culture of the Tarai-Madhes region. President of the Dhurmus-Suntali Foundation, Sitaram Kattel said his organisation has built a model settlement for the Musahar community in Mahottari for fostering the feeling of unity among the people of mountainous, hilly and the Tarai-Madhes region. Comedy artistes Sitaram Kattel (Dhurmus). Kumar Kattel (Jigri) and Arjun Ghimire (Pande), dance director Indra Kumar Chaudhary, producer Anita Yadav and cine artiste Preeti Adhikari were honoured on the occasion.